Wow, what a crazy summer! When I scheduled my massive summer traveling, I had no idea how consuming that would be. I have the month of August off, but September and October will be just as busy as the last few months have been. I can’t tell you how much I’m looking forward to the end of this season. School starts back for us on Tuesday! So, for the next 2 weeks, I’ll have some semblance of a normal schedule return. One thing I did this summer was have the Song of Suspense Series covers re-done! I’m SO thrilled with the final product! Victoria at Romance-Covers.com did a phenomenal job! 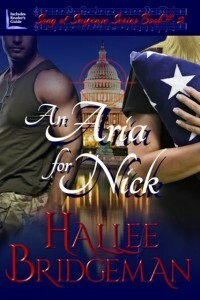 To celebrate, An Aria for Nick is just 99 cents in ebook form! An Aria for Nick can be purchased in e-book format at Christian book online retailer Deeper Shopping. This entry was posted in 1. 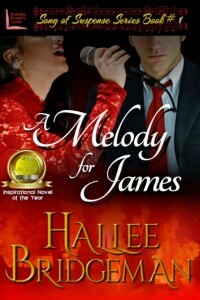 A Melody for James, 2. An Aria for Nick, 3. A Carol for Kent, Blog, Novels and tagged a carol for kent, a melody for james, an aria for nick, covers, romance awareness month, song of suspense series. Bookmark the permalink.